How it came together: Before the season began, our captains, Jessica Patalino and Hannah Blowers, knew that they wanted to do some sort of community service as a team. This would serve multiple purposes; to give back, to leave a legacy on the program, to bond as a team/group, and to hopefully inspire other teams to do something similar. They researched causes to get behind, and they found that the last week in September was National Diaper Need Awareness. So Stacey Patalino reached out to the CNY Diaper Bank to see how we could help as a group. Michela Hugo, the founder of the CNY Diaper Bank, explained that the girls could come in and take the packages of diapers that have been donated, and sort them into piles of 25, and then wrap them up so that they could go to families in need of extra diapers. Lessons Learned: Before we began sorting and wrapping the diapers, Michela explained to everyone why the CNY Diaper Bank is there, and why it is important. The girls were saddened to learn that many local families resort to primitive methods of covering their baby when they run out of diapers. These methods included old shirts, plastic bags, and paper towels. She explained that due to lack of transportation in many cases, some families can’t get big boxes of diapers and if they can even afford them in the first place, end up getting smaller packages at a drug store. Future: We would love to be able to go back at some time to continue wrapping diapers. The CNY Diaper Bank has never had that many volunteers at once. We would also like to do something school wide or at one of our games where we seek donations of diapers to be able to bring to the CNY Diaper Bank. The captains wanted to leave a legacy, and I believe that they have started a tradition of community service that will continue for a long time in the volleyball program. 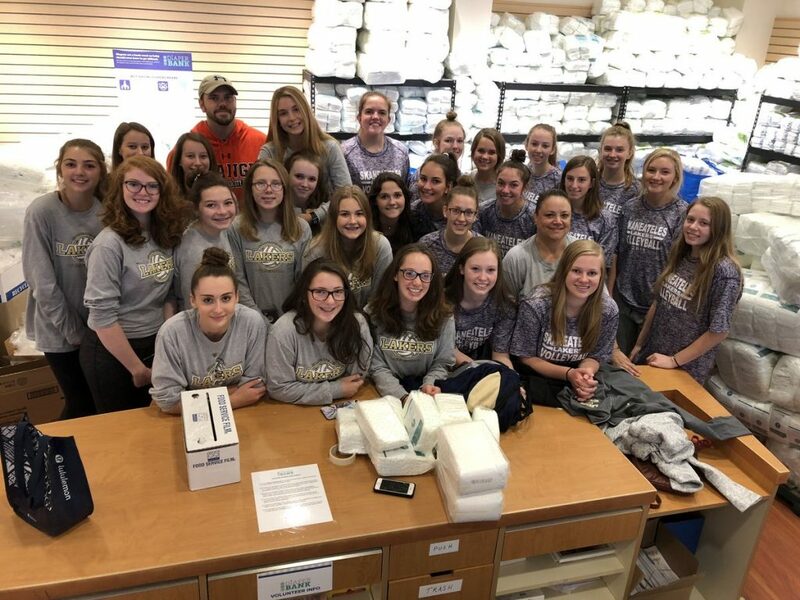 We have other sports at school that also do community work, and we hope together that we will have a ripple effect on all of the other teams at Skaneateles to do similar community service work.